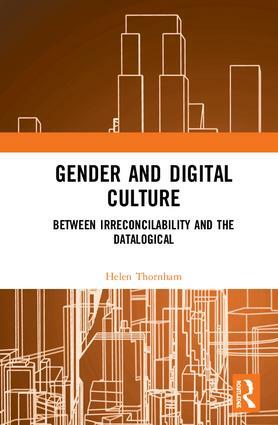 Gender and Digital Culture offers a unique contribution to the theoretical and methodological understandings of digital technology as inherently gendered and classed. The silences within, through and from the systems we experience every day, create inequalities that are deeply affective and constitute very real forms of algorithmic vulnerability. The book explores these lived and mundane algorithmic vulnerabilities across three interrelated research projects. These focus on recent digital phenomena including sexting, selfies and wearables, and particular decision-making systems used in health, education and social services. Central to this book are the themes of irreconcilability and the datalogical. It makes the case that feminism and gender politics have become increasingly irreconcilable with not only long-running debates around representation and embodiment, but also with conceptions of the technological, conceptions of the user and of the systems themselves. In keeping with longstanding feminist scholarship, these irreconcilabilities can be productive and generative; they can be used to interrogate the power politics of digital culture. By studying the lived and routine elements of digital technologies, Gender and Digital Culture asks about the many convolutions that are held together through the everyday use of these technologies, and the implications for how gender and technology are approached, discussed and theorised. Helen Thornham is Associate Professor in Digital Cultures at the University of Leeds, UK. Her publications include Ethnographies of the Videogame (2011, Renewing Feminisms (2013) and Content Cultures (2014). Her research focuses on gender and technological mediations, data and digital inequalities.